New study estimates over half a million Jewish Holocaust victims were murdered by their Polish neighbors. According to new research done in Poland, two-thirds of the local Jews who hid there from the Nazis did not survive the war, mostly because of the actions of their non-Jewish neighbors. According to Polish Chief Rabbi Michael Schudrich, no more than 2,500 Jews died at the hands of Poles during the Holocaust or immediately after it. Efraim Zuroff, Eastern Europe director for the Simon Wiesenthal has disputed Schudrich’s estimate: He believes the correct figure is “many thousands” of people, including in at least 15 towns and cities in eastern Poland, where non-Jews butchered their Jewish neighbors. But if the new study in Poland is correct, then those estimates are just a fraction of a tally of well over half a million Jewish Holocaust victims who died as a result of the actions of non-Jewish Poles. The issue of Polish complicity in the Holocaust is highly controversial in Poland, where the Nazis killed three million non-Jews in addition to about four million Jews. In January, the right-wing government passed a law criminalizing blaming Poland for Nazi crimes. Protests by Israel, the United States and Jewish groups over this law prompted what observers say is a wave of anti-Semitic hatred with unprecedented intensity since the fall of communism in Poland. The government is also leading a campaign that celebrates the actions of Poles who risked their lives to save Jews. The Yad vashem Holocaust museum has recognized more than 6,000 Poles for such actions – the highest number of any nation. 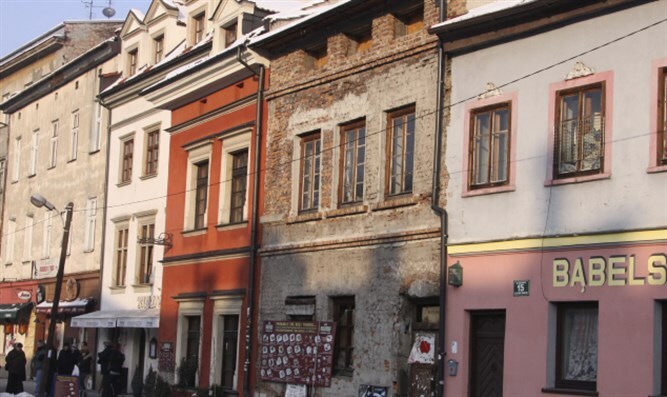 Especially dangerous for Jews in hiding were small Polish towns, according to historians Barbara Engelking and Jan Grabowski, two of the nine researchers who conducted the study. They called them “death traps,” Tok FM reported. The research entailed identifying, interviewing or reviewing interviews with as many survivors as possible to ascertain the fate of other Jews in hiding who did not survive, the report said. It also features newly-discovered archives from remote areas of Poland from the Nazi occupation days and thereafter. In one region, Miechów, more than 10 percent of the Jews in hiding were murdered directly by partisans who were members of the Polish underground, according to the study.